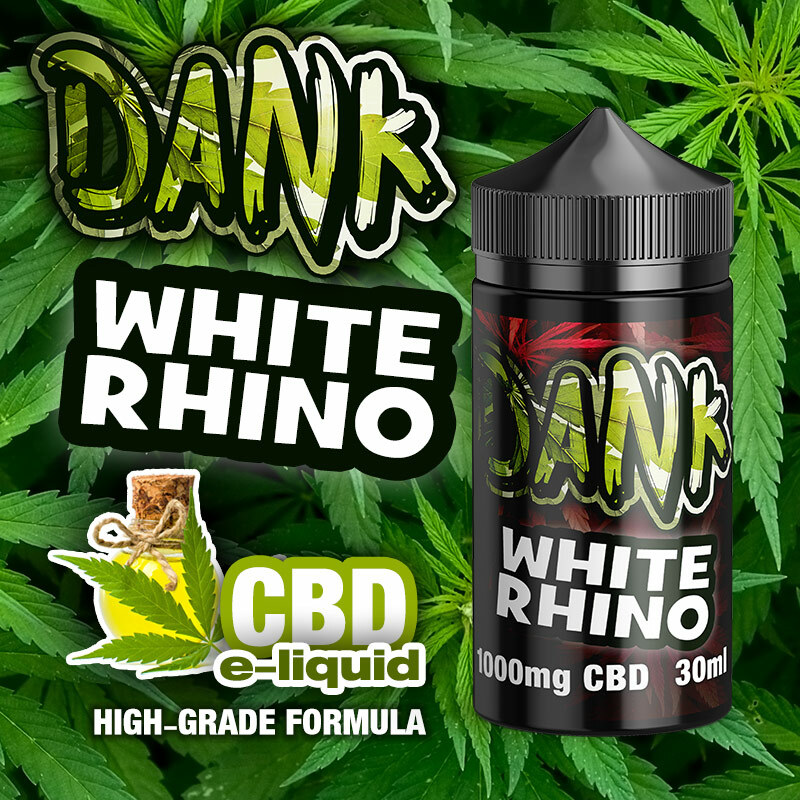 White Rhino – DANK CBD e-liquid. 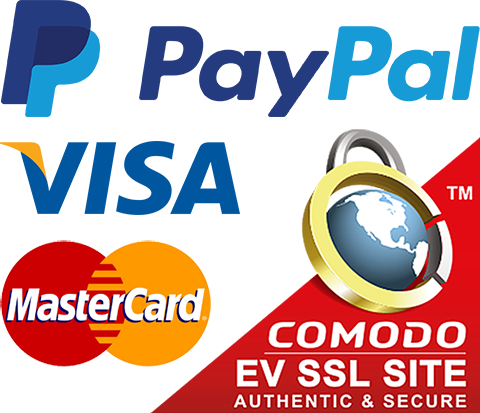 Flavours: Ice Menthol Skunk and terpenes. 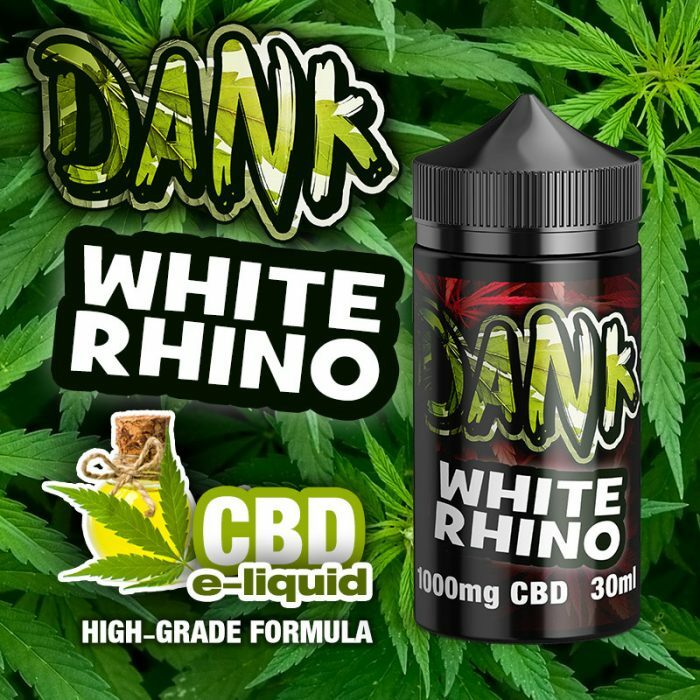 This 30ml bottle contains: 900mg CBD at 300mg strength, 1800mg CBD at 600mg strength, and 3000mg CBD at 1000mg strength.